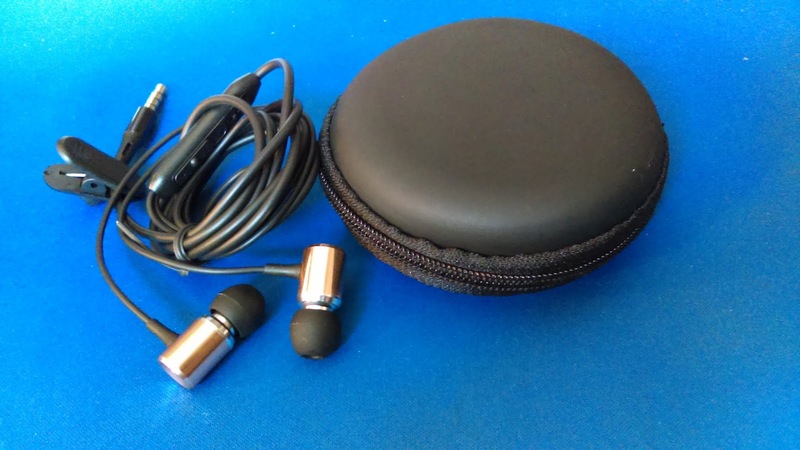 Recently I had the opportunity to test out the Wired Metal Earphones AIFEIMEI In-ear Heavy Bass Stereo Earbuds Headphones Volume Control with Mic Headset Sport Gym Running for iPhone iOS/Android 3.5mm jack +Carrying Case from Amazon. For the price, I wasn't expecting much, but it seemed great that they came with a mic and a carrying case for under $9. I love how they fit in my ear first off. They are super comfortable, which is one of the reasons why I wanted to try them. The headphones I am using now, hurt my ears, but these just slide right in and stay in and don't hurt. I had the kids try out the mic on their devices, and they say it works great! They can hear and talk fine, and my youngest, who is a tech nerd says that they have great sound! ★COMFORTABLE AND SOFT DESIGN - This wired metal earphone is simple , lightweight ,and very comfortable to wear. It comes with two pairs of additional little rubber cushions for the best fit to your ears. 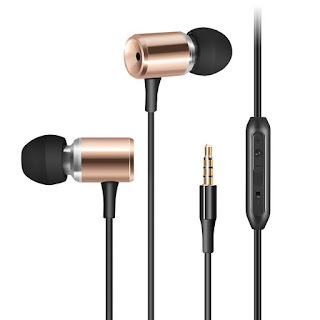 ★BEST BUYS – AIFEIMEI AM-508 heavy bass earphones deliver clean,natural and well-balanced sound that is perfect for traveling,sport and tuning out the noises of life. You may like the black round zipper pouch these earphones come in. You won't have to worry about losing them and its sturdy enough to protect them. That you may love, is the highest cost-effective. ★MULTIPLE FUNCTIONS - Built-in Microphone and Multifunctions button with a phone mark to control music, conversation and Siri - play/pause, volume control, answer/reject/end phone calls. ★COMPATIBILITY - Compatible with iPhone 6, 6 Plus, 6s, 6s plus, iPhone SE 5, 5s, 5c, Samsung Galaxy Tab, Galaxy Note3/4/5, Note Edge, Galaxy S7/S7 Edge/S6/S6 S5 Edge/ S4/ S3etc. almost all the devices with 3.5mm jack. ★WARRANTY - 12 Months Worry-free Product Guarantee. If there are any issues, please contact us.AIFEIMEI can do that full refound no return! We just want your 100% satisfaction.